As the Advanced Races Compendium Kickstarter draws closer, we’re looking to add some new races to the ones we’ve already covered for PFRPG. 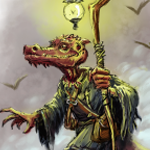 Some chapters of the Compendium will be all-new, some chapters will cover familiar races in new ways, and we are also fleshing out the existing Advanced Races with new magic, feats, lore, and updates. 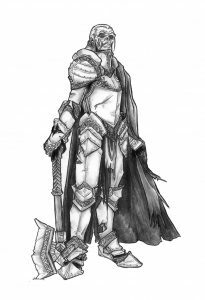 Which fantasy races would you like to see covered as PC options in the Advanced Races Compendium? Which fantasy races would you like to see covered as PC options in Advanced Races Compendium? I would have voted “other” for Kasatha, but I’m not sure they are OGL, and I don’t think they are popular enough to waste a vote on. Instead, I voted “insect race” because that sounds like an approximation, and insect races are tied for 2nd. I canna believe gnomes aren’t the first choice. I mean, gnomes! Come on frog guys! Whomever wins I am waiting for this kickstart to go live. Take my money! Trollkin are a unique, Midgard race, as far as I know. As much as I’d love to see any and all of the above races included in the Compendium, the trollkin needs to be fleshed out. @David Lambiase … frog guys? I’m going to throw out a couple Other choices: skindancers (from Wayfinder #7) and Midgard’s own morphoi (from Journey’s to the West). Although I’m personally biased toward the skindancers, I think both fit a thematic niche, for both players and GMs, currently unfilled by the additional choices listed in the poll. I also vote for the Skindancers if possible. I like them and use them in my campaigns. Insect races, specifically thri-kreen. But i would like to see them as a hostile, alchemical race — not one that would be a PC unless it was heavily influenced in its back story. I would LOVE to break off an alchemy-heavy thri-kreen supplement, but…are they Midgard? Maybe Southlands? Ratfolk. I know they’re not really Midgard, as far as I know, but I have a great deal of love for the little guys. Grippi ROCK! What’s the matter with you people?! That said, I’d love sahaugin, morphoi would be interesting, and I’ve always had a love/fear relationship with thri-kreen. I think they’d be a tough nut to crack. I was hoping for Gnomes too. Midgard’s unique take on them asks for more info and options.